How ’bout a little laughter to threaten authority. 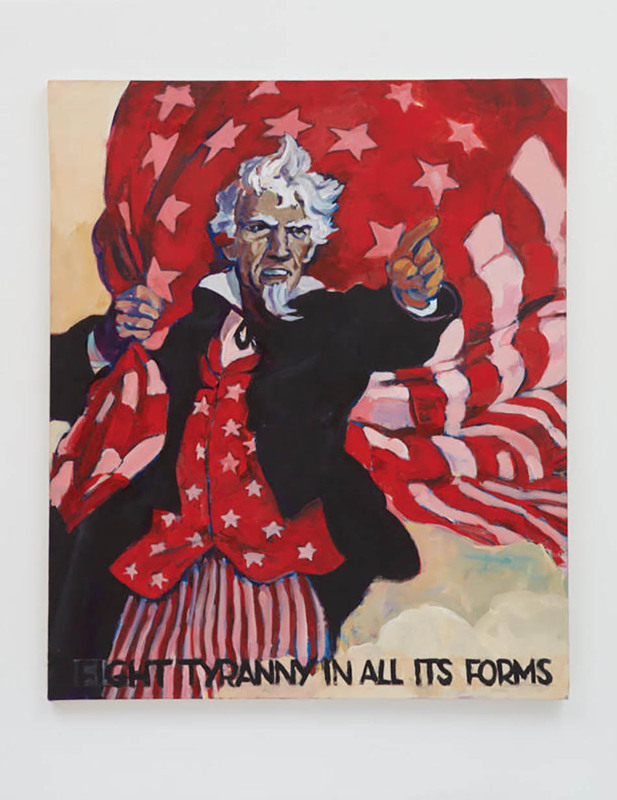 Smack Mellon probes the transgressive potential this might have in our increasingly tense political landscape in the group exhibition, Laugh Back. 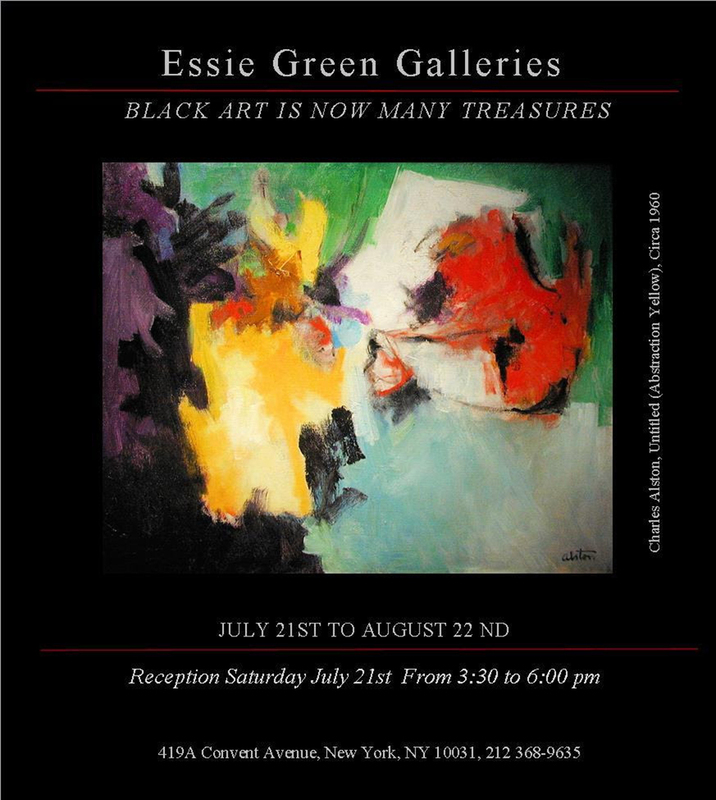 Essie Green Galleries will open its doors on July 21st to the new exhibition, ‘Black Art is Now Many Treasures.’ Some of the work on view, taken from the gallery’s vast collection, will be by renowned artists, Charles Ethan Porter, John Wesley Hardrick, Norman Lewis, Charles Alston, and Romare Bearden. Did you know that drowning claims the lives of 360,000 people worldwide each year. 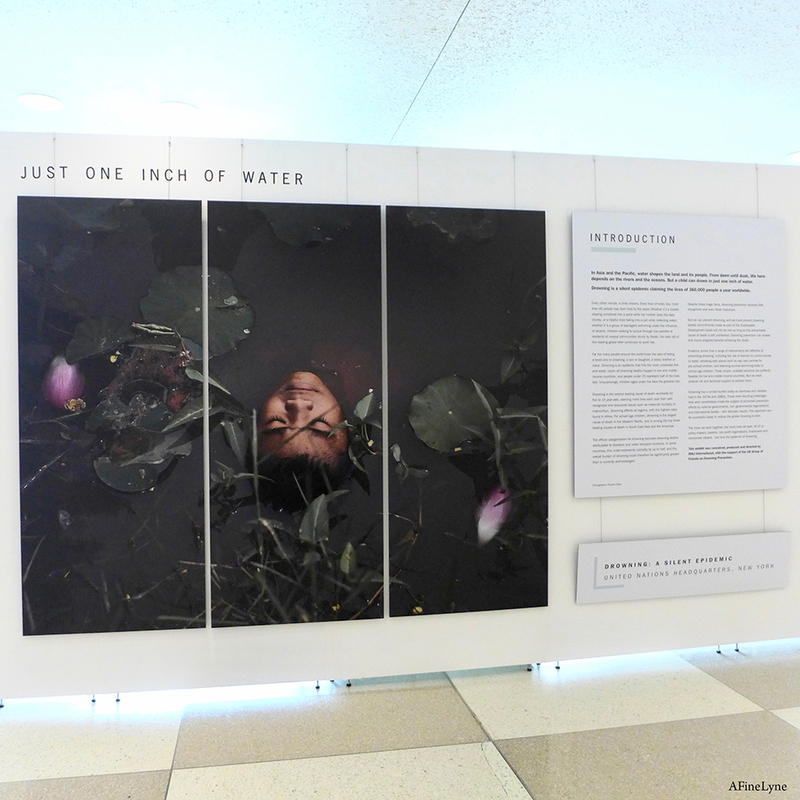 This month, the Royal National Lifeboat Institution (RNLI), with support of the United Nations Group of Friends on Drowning Prevention presents the exhibit Just One Inch of Water in the main lobby of the United Nations. 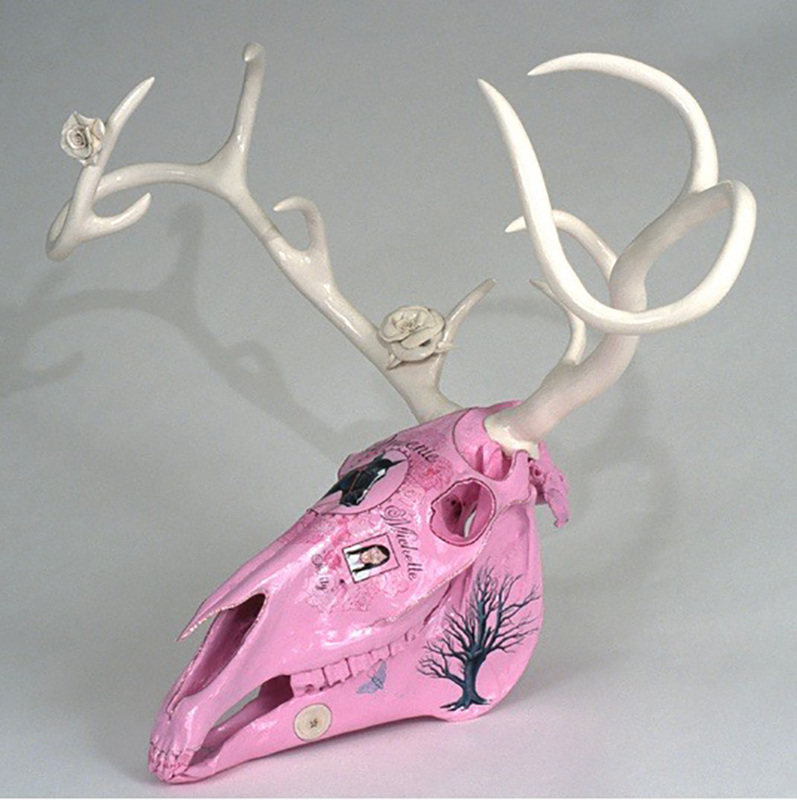 Feminine Constructs, works by Lizzy Lunday and Maura Martin depict female identity and sexuality in America in a new exhibit opening on June 28th at North of History. 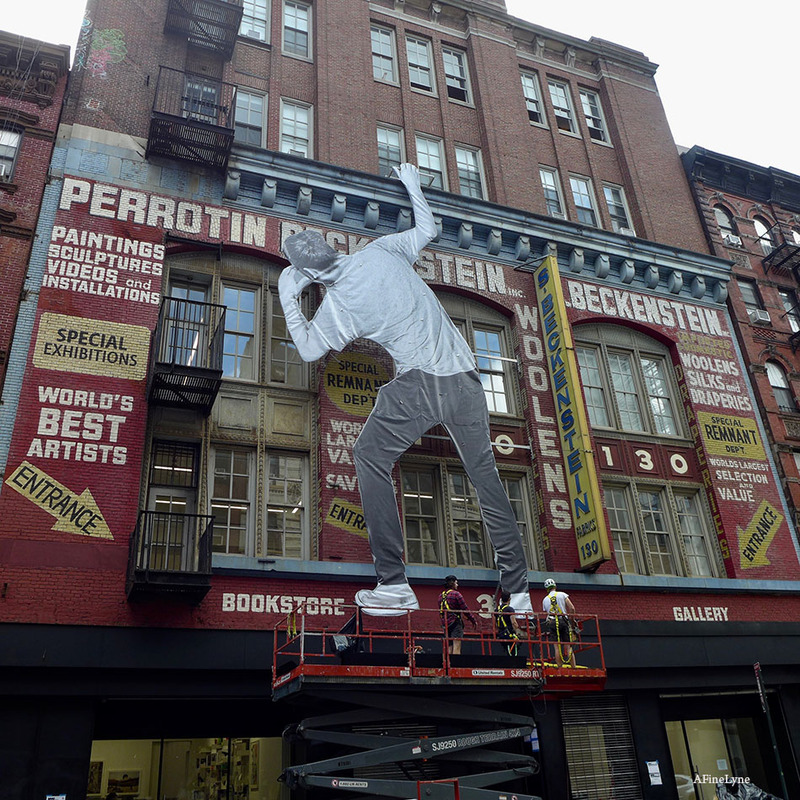 The renowned French artist JR, who has captured the faces of immigrants so vividly throughout the world, couldn’t be having a solo exhibition in NYC at a better time ~ with hundreds of immigrant children, taken from their parents at our borders, arriving in East Harlem this month. 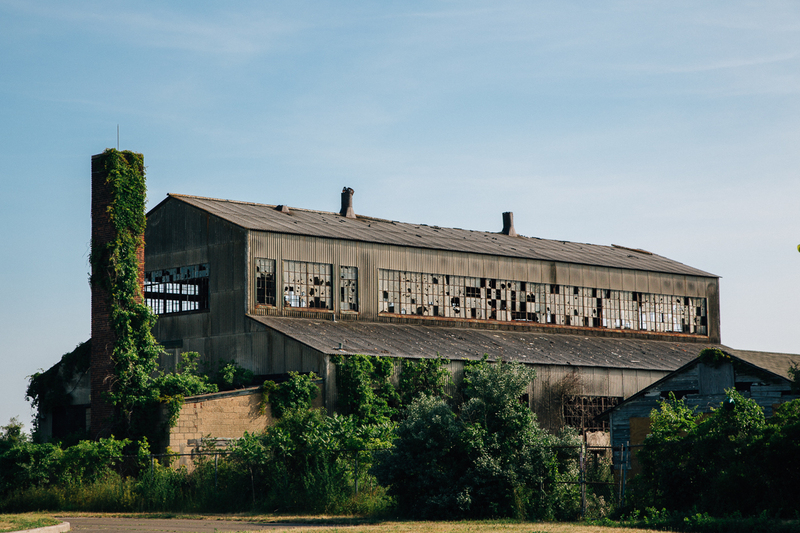 This week, Perrotin NYC presents the exhibition ~ JR.
Gateway National Recreation Area at Fort Tilden, T9 building. Site of Yayoi Kusama’s Narcissus Garden for Rockaway! 2018. 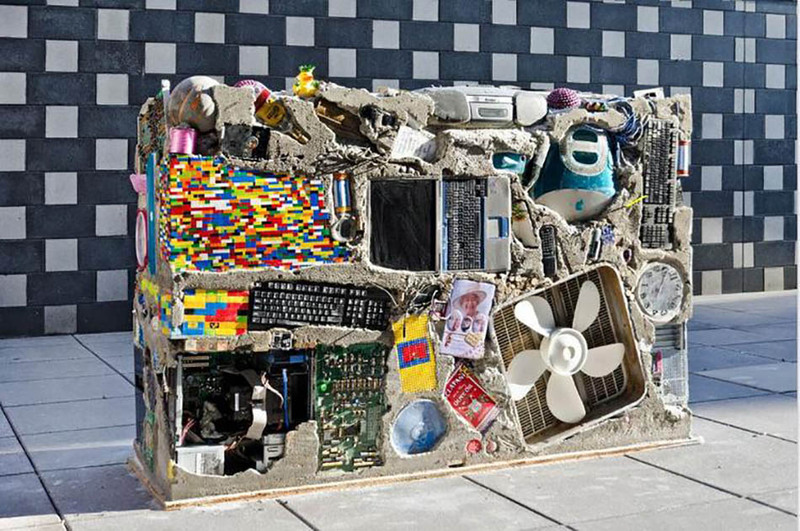 Image courtesy MoMA PS1. Photo: Pablo Enriquez. Image courtesy MoMA. 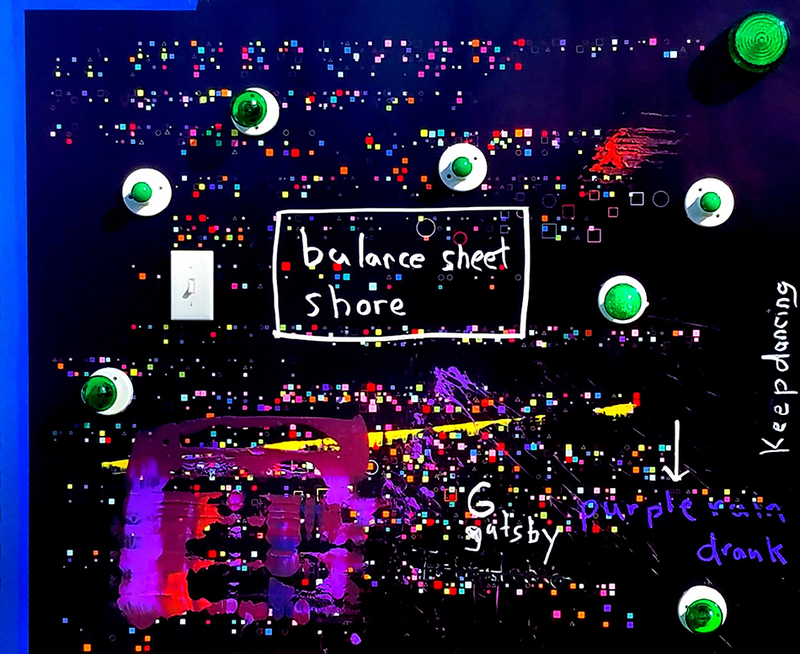 MoMA PS1 presents a site-specific installation by Yayoi Kusama entitled ‘Narcissus Garden,‘ as the third iteration of Rockaway!, a free public art festival with Rockaway Artists Alliance, Jamaica Bay-Rockaway Parks Conservancy, National Park Service, and Bloomberg Philanthropies. 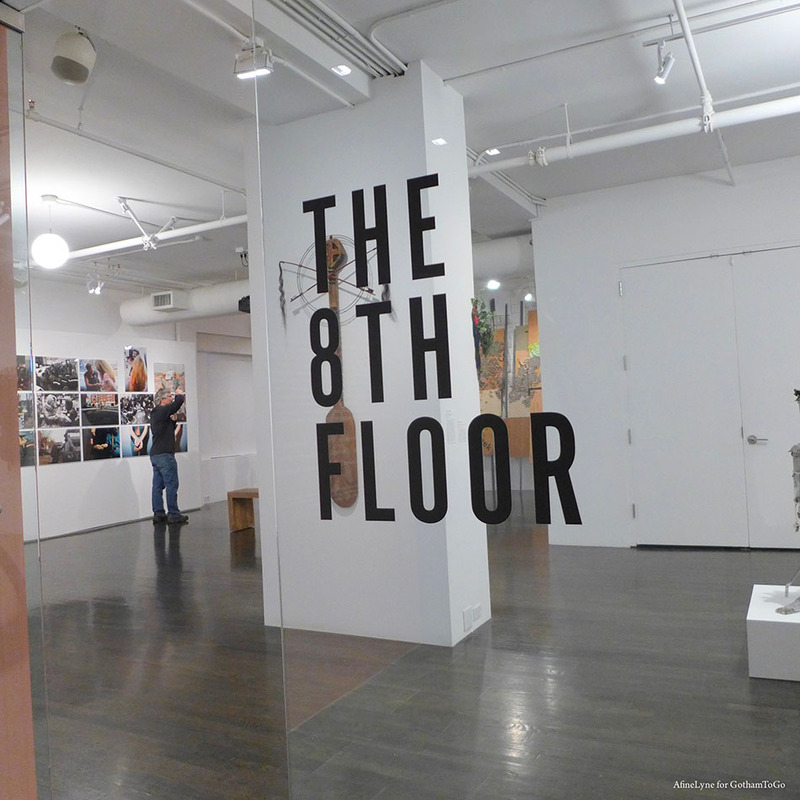 The Art Students League of New York will exhibit works by recent graduates and alumni in a new exhibition entitled ‘Final Project Exhibition 2018.’ The group exhibition will include painting, printmaking, sculpture and mixed media. 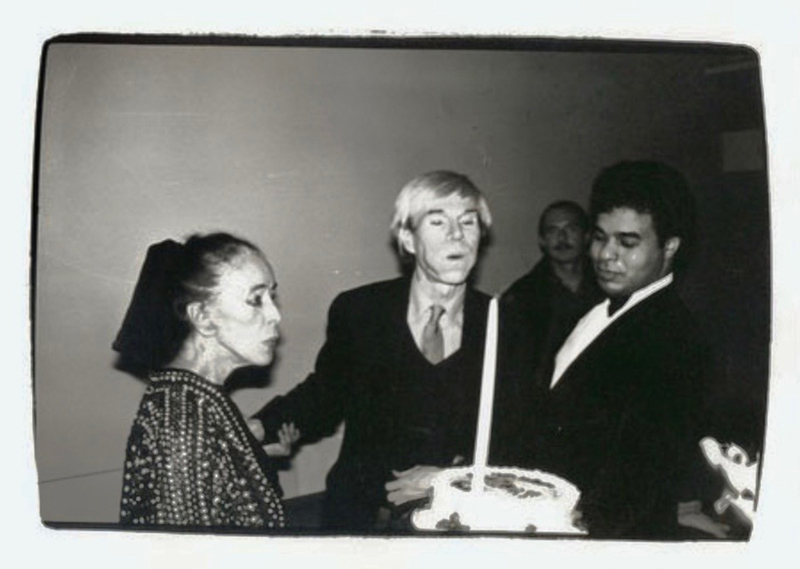 Zeitgeist: The Art Scene of Teenage Basquiat extended to July 29th! 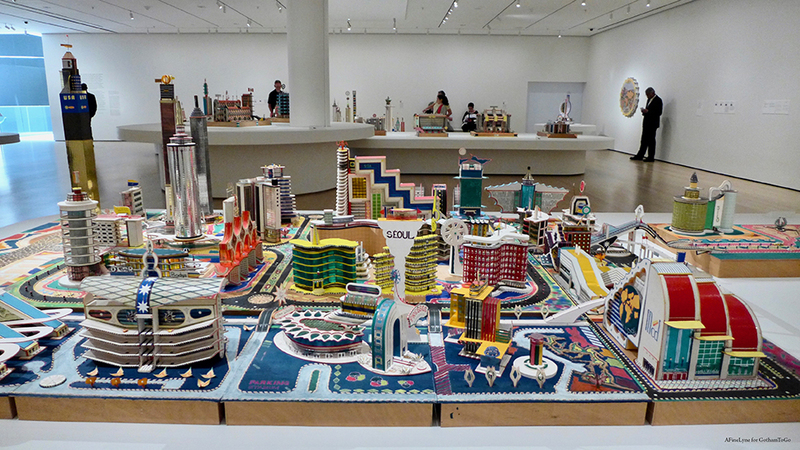 Bodys Isek Kingelez: City Dreams is a whimsical and wonderful wish for a more harmonious society throughout the world, now on view at MoMA. 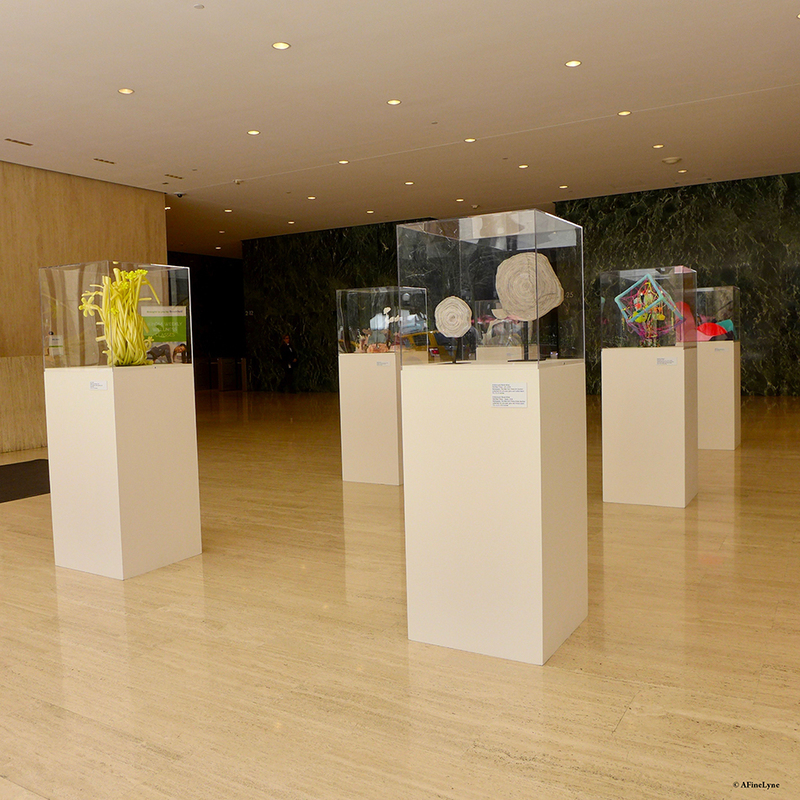 The eclectic, colorful exhibit has been shown almost daily on social media pages, blog sites, and Instagram. But this is such an exceptional exhibition ~ and the first retrospective of Kingelez’s work in the United States, that we are adding to the tsunami of images and descriptions. 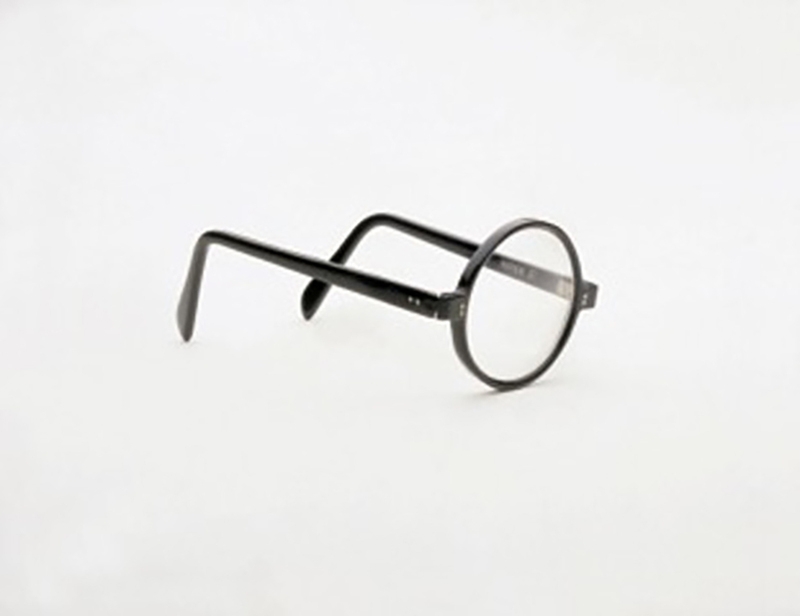 Artist, Isa Genzken, Untitled, 2018. 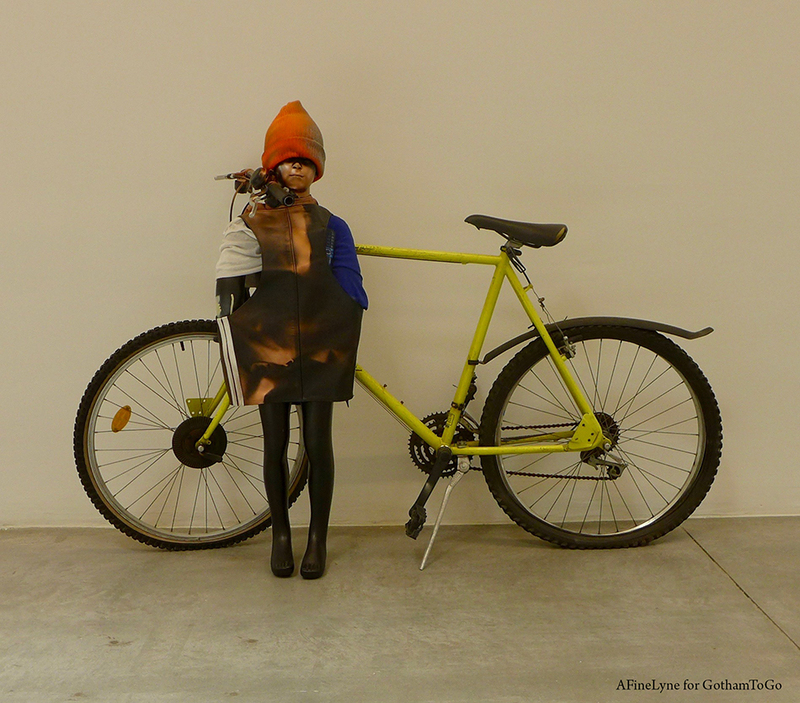 Mannequin, clothing, bicycle, and spray paint. People ~ we live in a city with 8 million of them, all different and all following their own dreams. 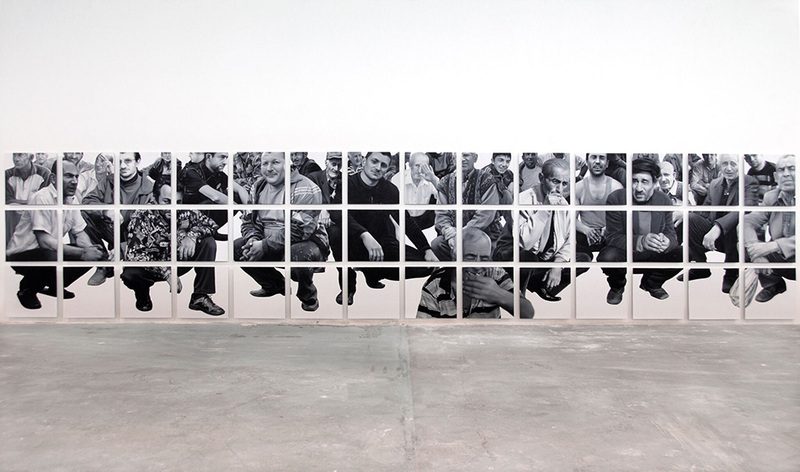 And so, the exhibition entitled People at Deitch Projects represents that same diversity and style, created by twenty-nine artists ~ from the ordinary to objects of fantasy. 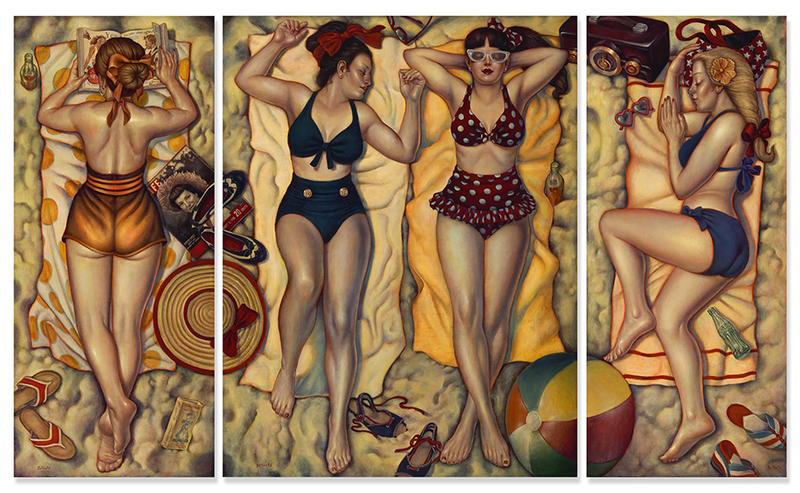 Kicking-off Memorial Day weekend with memories of summer’s past, and a new exhibit, ‘Endless Summer‘ by the artist Danny Galieote, opening at Joanne Artman Gallery on June 14th. 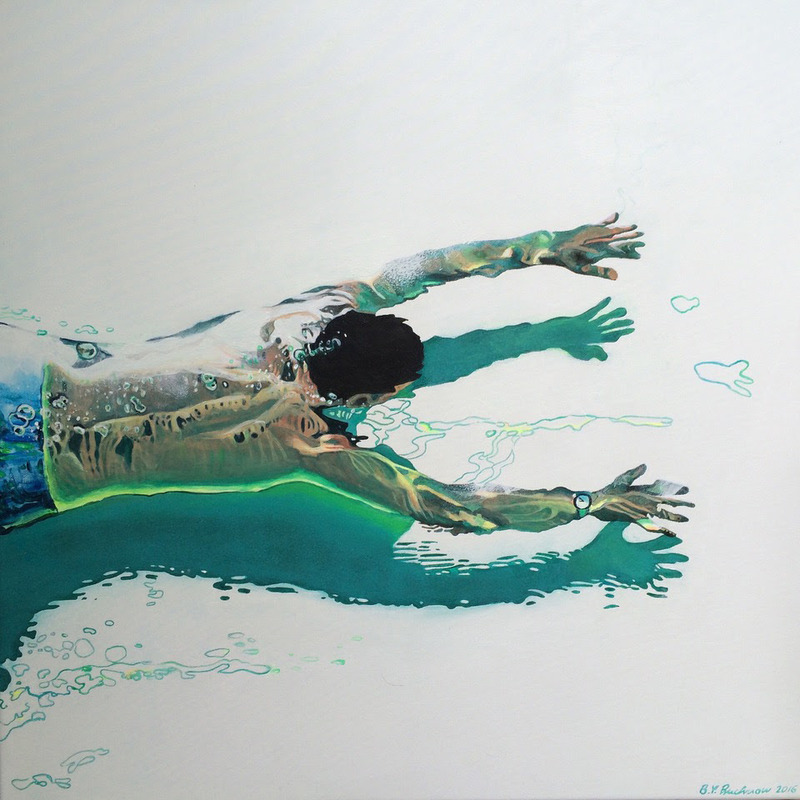 Allouche Gallery is pleased to present new bodies of work by French artists Lou Ros and Valentin van der Meulen meant to sharpen your own creative lens. 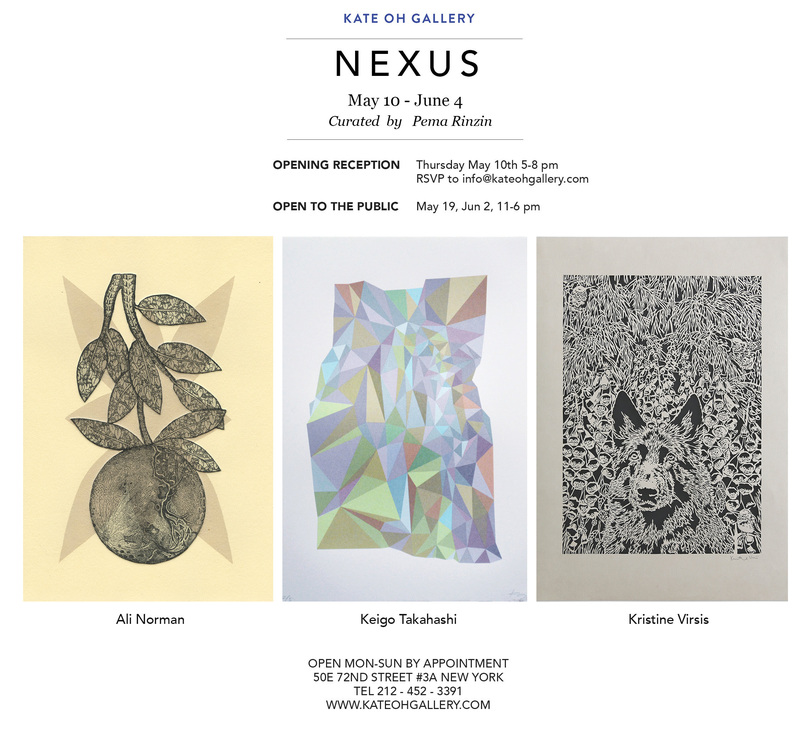 Kate Oh Gallery opens its door to the exhibit, Nexus, new prints by Ali Norman, Keigo Takahashi, and Kristine Virsis, curated by Contemporary Tibetan Artist, Pena Renzin. 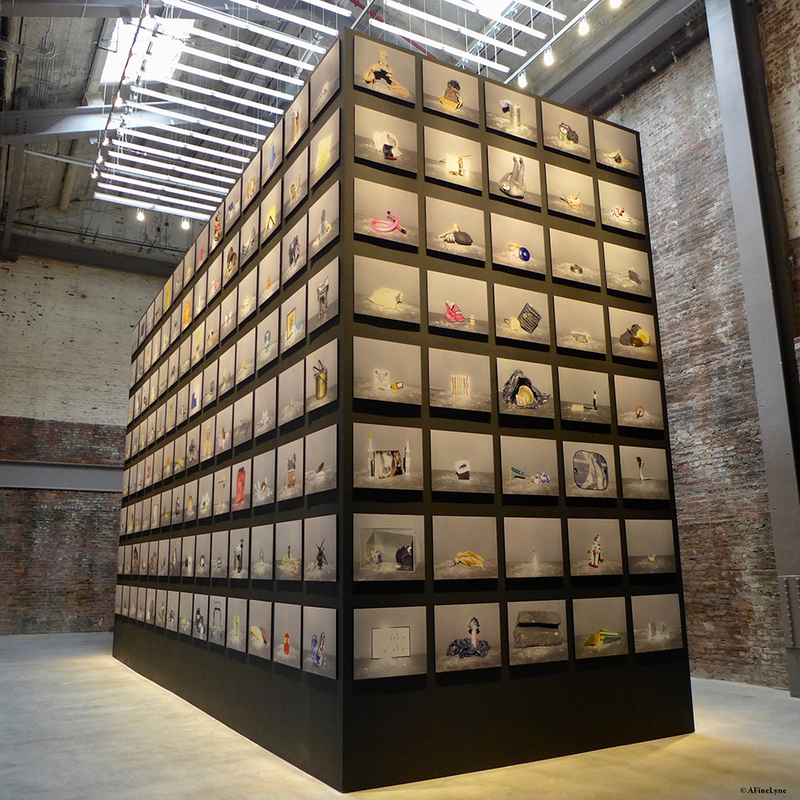 For all those who dream of turning the pages back ten years, the exhibit ‘Unusual and Exigent‘ is a reminder ~ a deep dive ~ into the 2008 financial crisis by an artist, math Ph.D. and former hedge fund manager, Nelson Saiers. 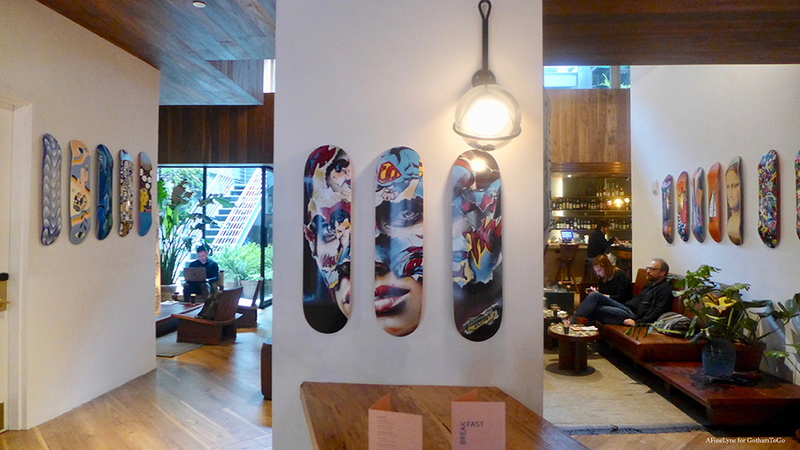 Art Collection NYC presents East Village Art View ~ selected artworks in mixed-media from artists working in and around New York City. 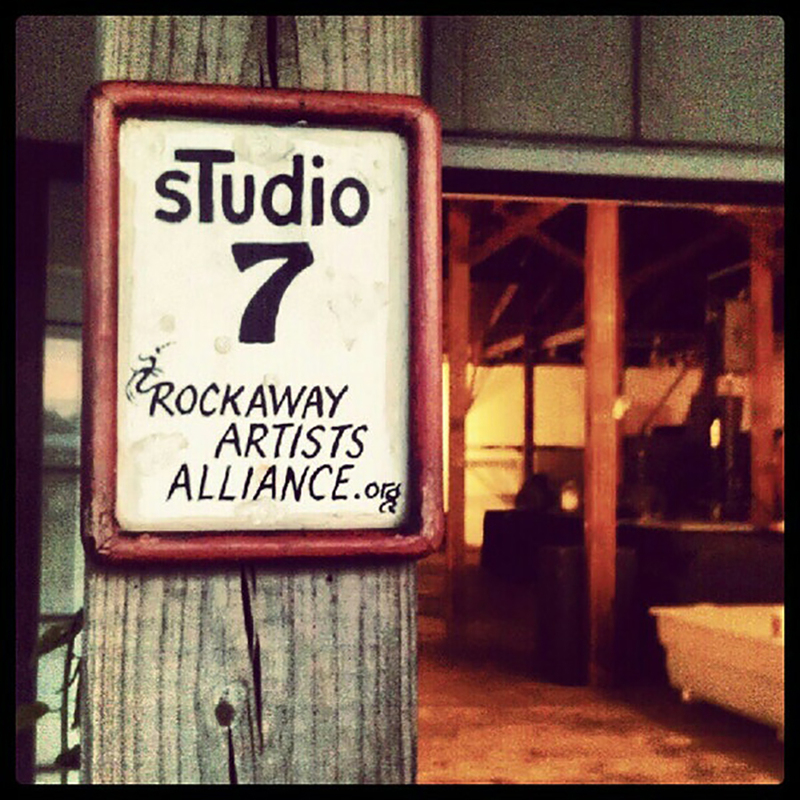 Fifteen Brooklyn Watercolor Society members will be exhibiting at Rockaway Artists Alliance “sTudio 7 Gallery” in Fort Tilden from May 12 – 28 in the show, WaterColors. A Luta Continua. 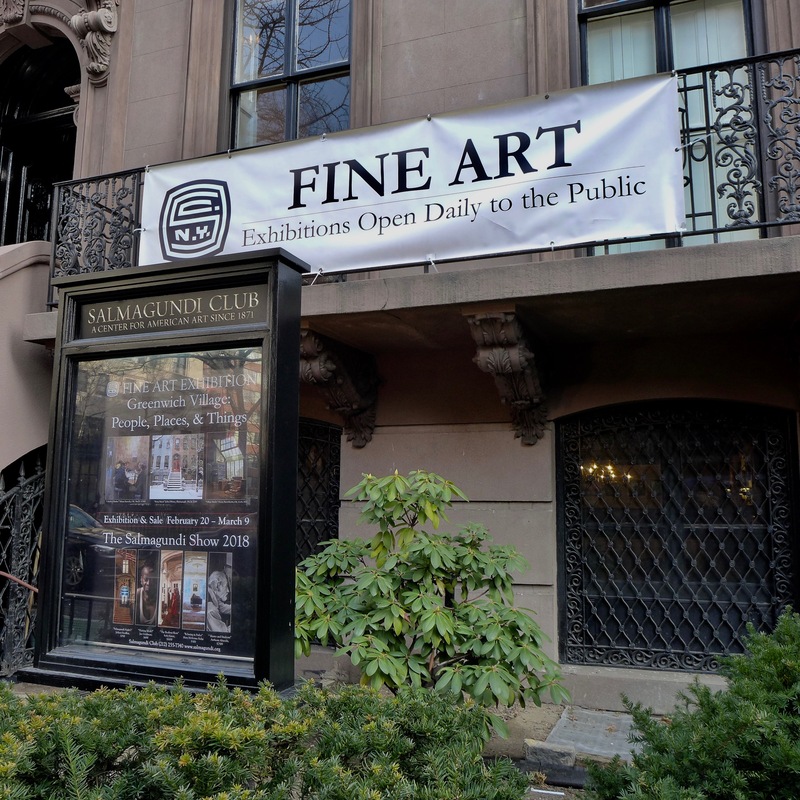 The Sylvio Perlstein Collection will open on April 26th. 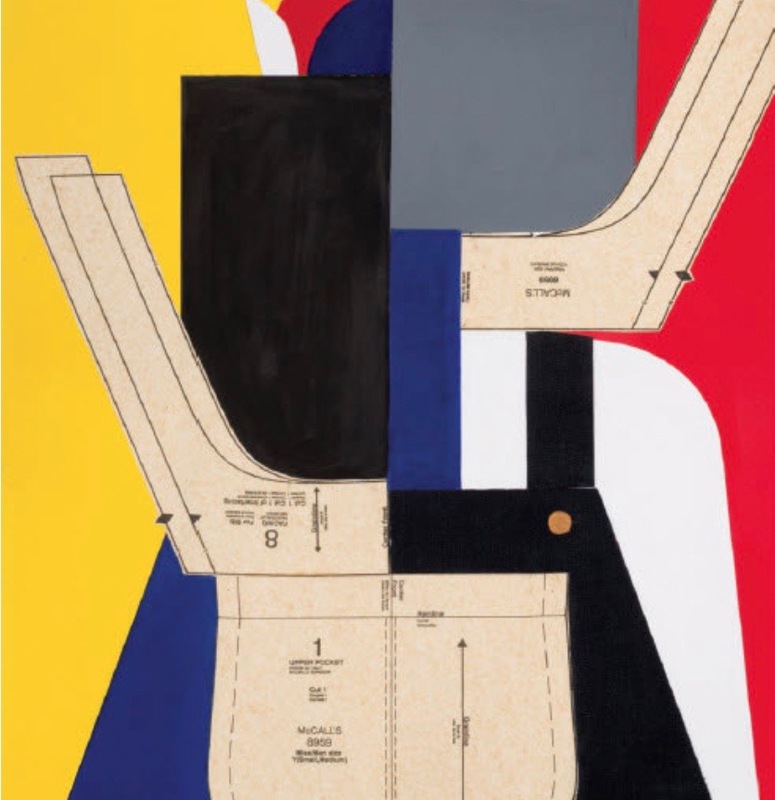 The exhibition ‘traces the course of twentieth-century art from Dada and Surealism to Abstration, Land Art, Conceptural Art, Minimal Art, Pop Art, Op Art, Arte Povera, Nouveau Réalisme, and Contemporary Art,’ with more than 360 works by 250 artists. Prepare to be overwhelmed. 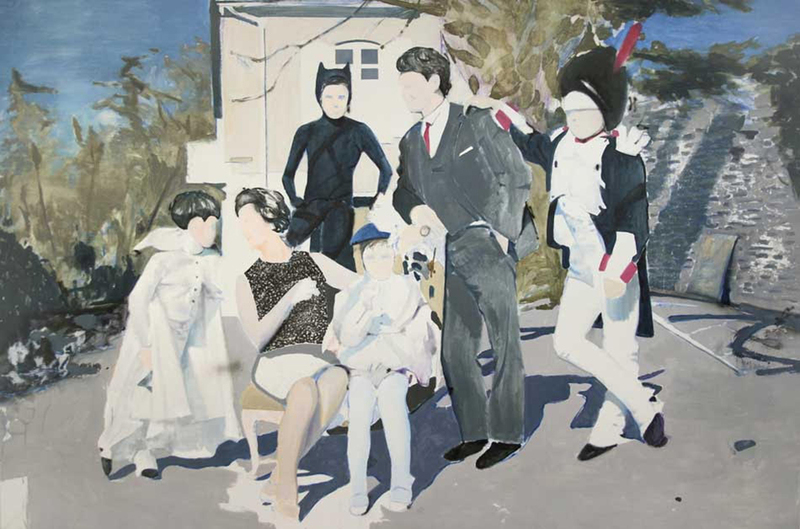 The contemporary, Australian-born painter and installation artist, Anthony Lister, turns the word ‘art’ into the ‘fact’ in a new exhibition, The Art of Fact, at Allouche Gallery. 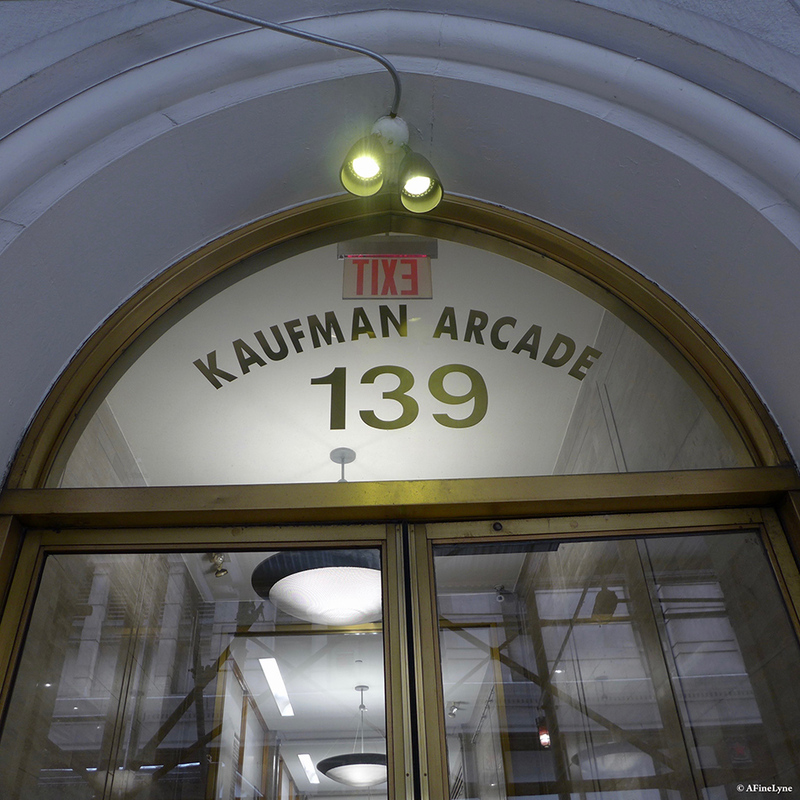 The Garment District Alliance unveiled the art exhibit, Adventurous Colors by the artist, Cecile Brunswick, on the polished marble walls of the historic Kaufman Arcade this month. 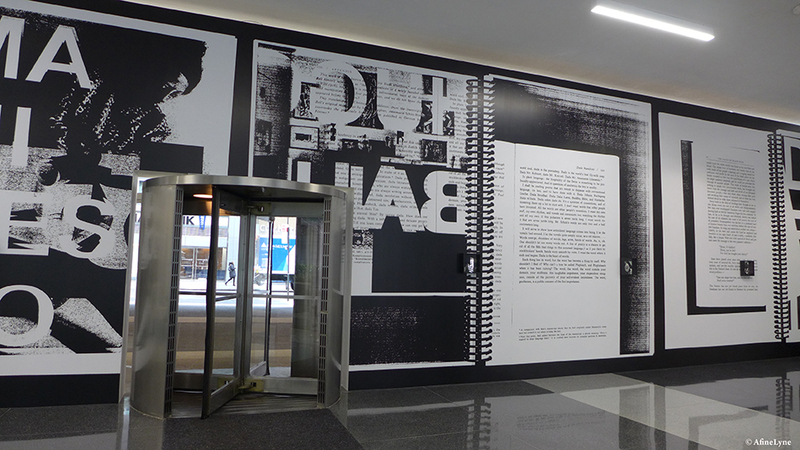 Arts Brookfield unveiled a new exhibition at the Grace Building this week. 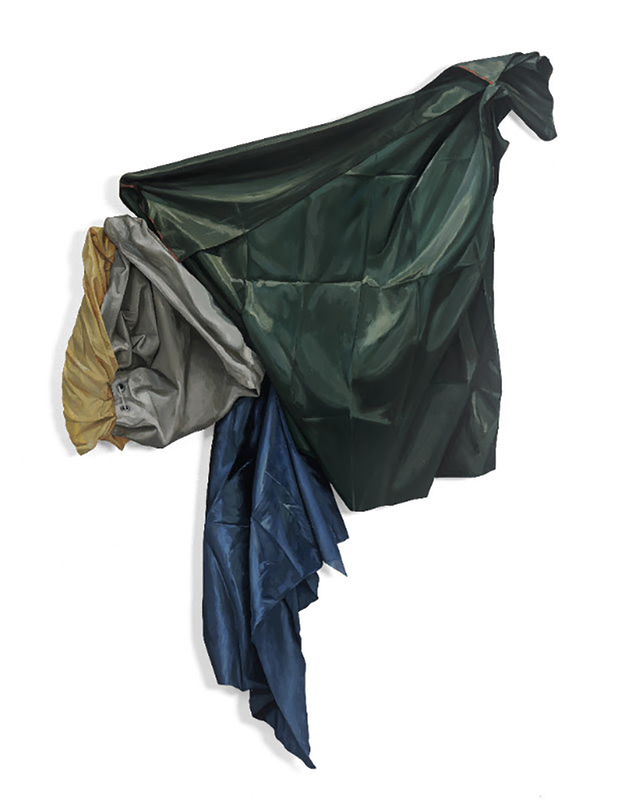 The installation, Human Nature, is a group show with 8 artists presenting 7 pieces inspired by ~ nature. Around Us, a group exhibition to open at Kate Oh Gallery on April 4th. 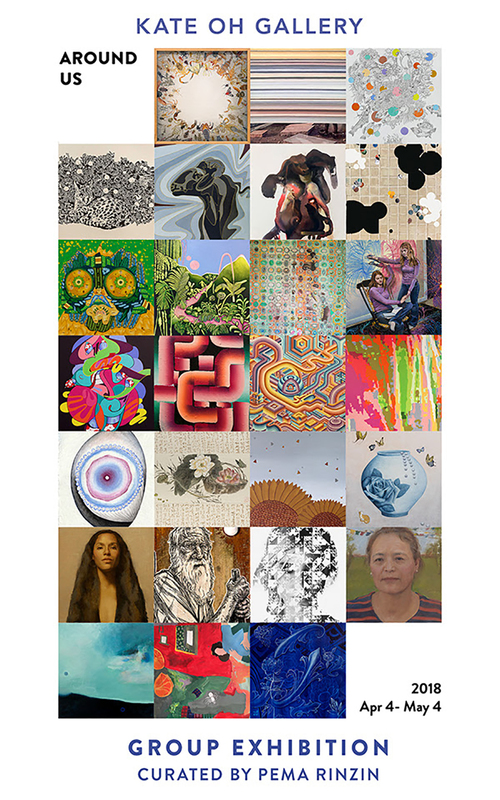 Curated by contemporary Tibetan artist, Pema Rinzin, the exhibition will feature the works of 26 artists. 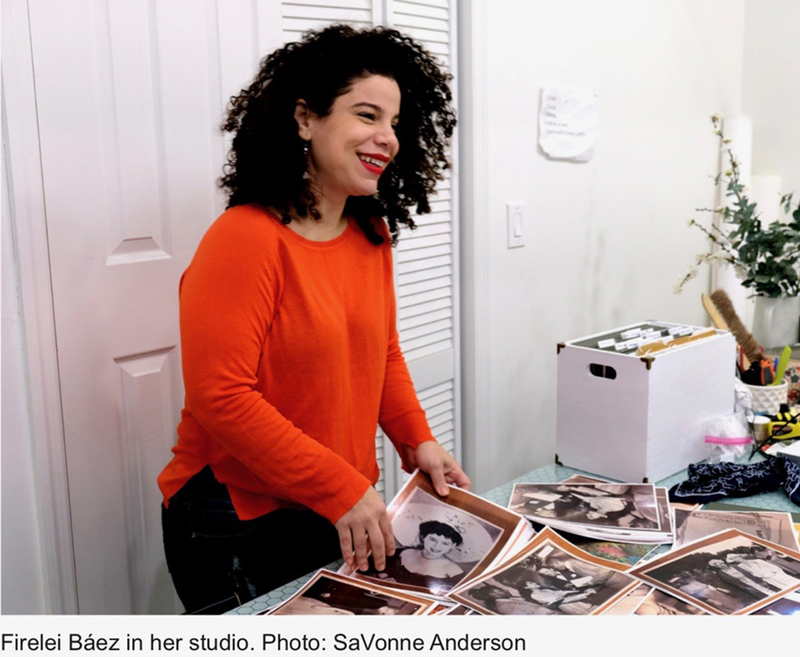 Continuing with The Studio Museum in Harlem ~ outside the walls, inHarlem announced its next two projects in and around the community, in collaboration with Marcus Garvey Park Alliance and The Schomburg Center for Research in Black Culture. “Marching On: The Politics of Performance” by Bryony Roberts, Mabel O. Wilson, and the Marching Cobras of New York. Commissioned by Storefront for Art and Architecture, 2017. Image by Bryony Roberts. 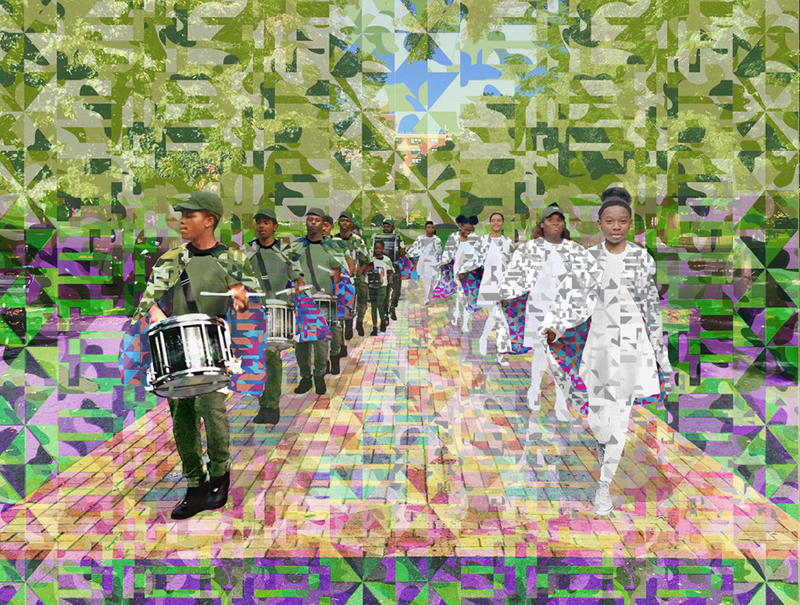 Marching On: The Politics of Performance – Final performance on Saturday, June 9th from 5-6:30pm at Storefront for Art and Architecture, 97 Kenmare Street. 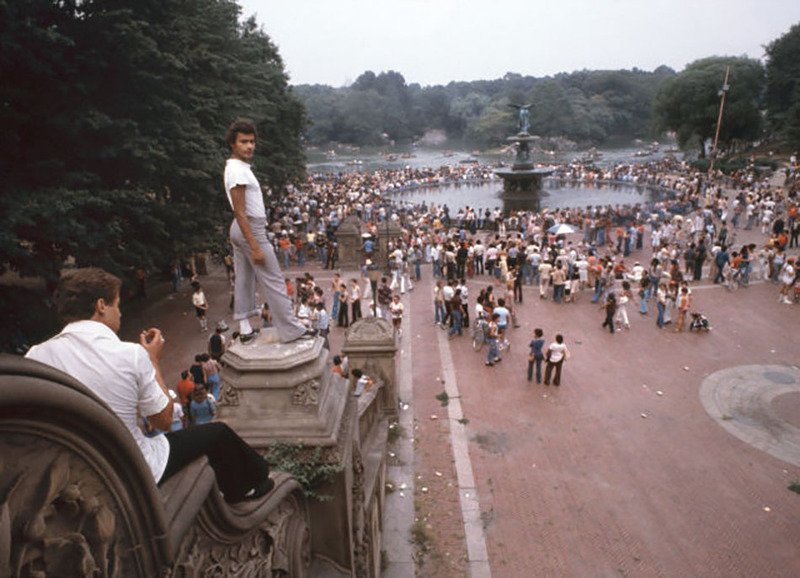 Over 100 artworks, including rarely seen materials, are on view at The Bronx Museum of the Arts in the exhibit, Gordon Matta-Clark: Anarchitect. 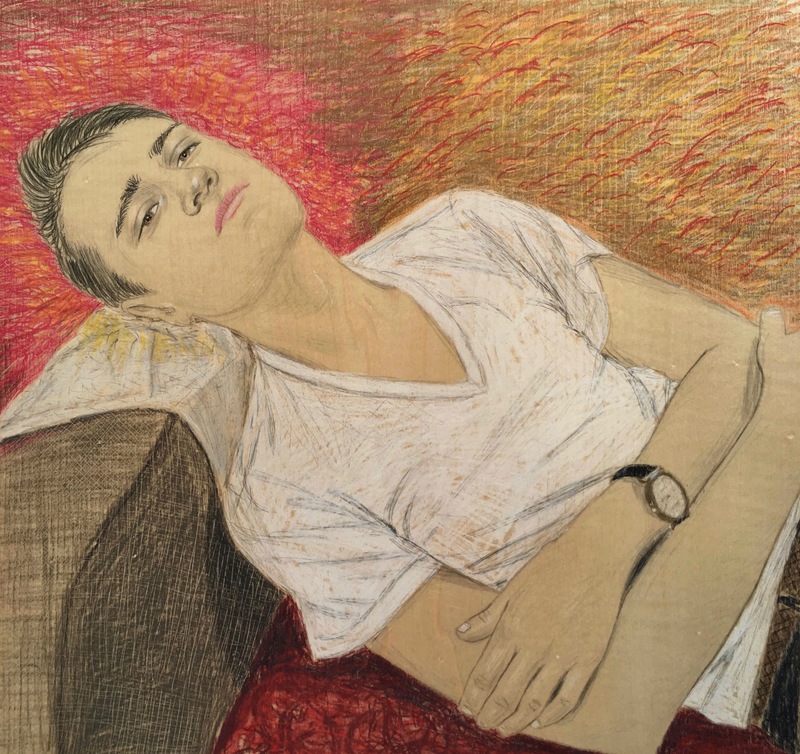 After an installation of Elizabeth Peyton drawings in a room at the Hotel Chelsea in 1993, Gavin Brown’s enterprise opened on Broome Street in 1994. 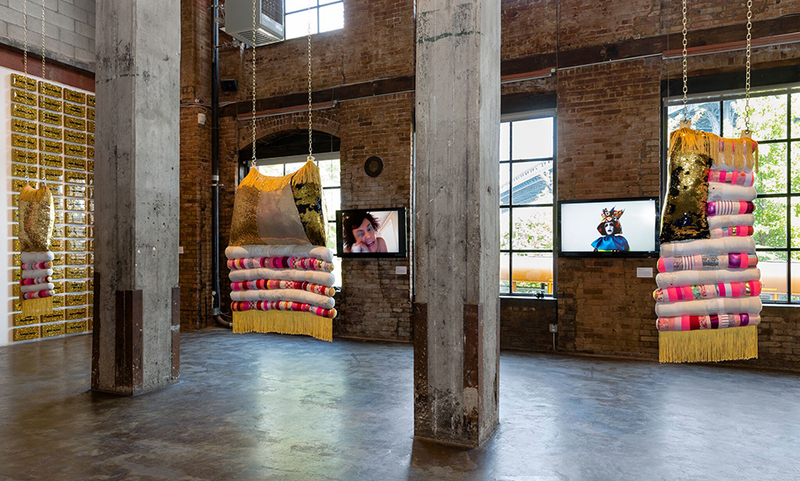 Many years, and several moves later, Gavin Brown’s enterprise opened its doors in a historic former brewery building in Harlem, with three floors of exhibition space. 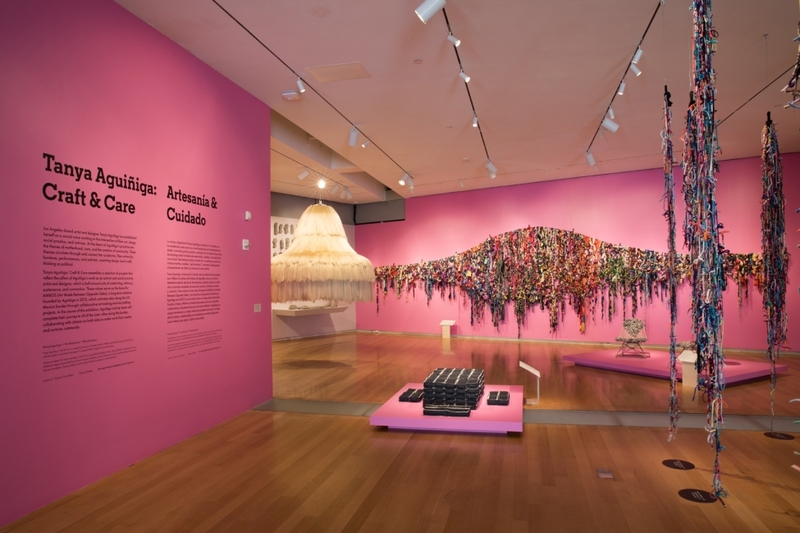 Below, three new exhibits opened on March 4. 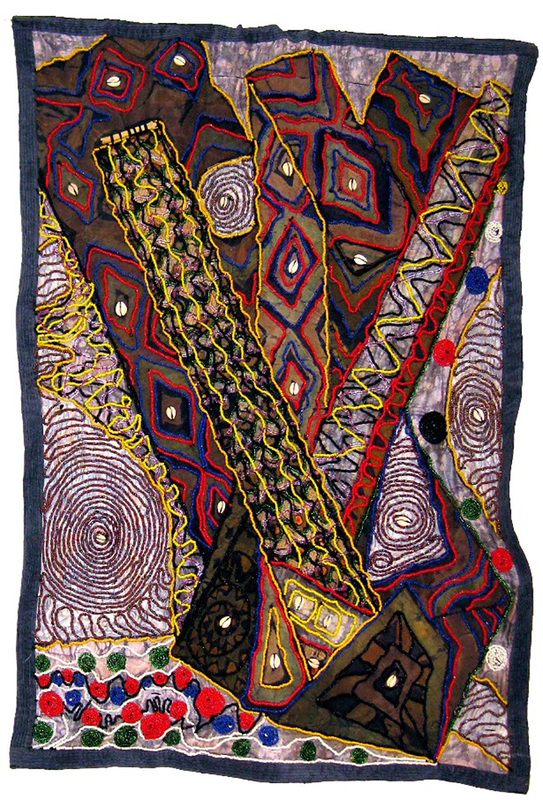 As the moon passed in front of the sun, creating a black orb for all who watched, artist Jessica Lichtenstein layed down a parallel from folklore, with the moon (as feminine), obstructing the sun (masculine) ~ simulating a women’s movement. 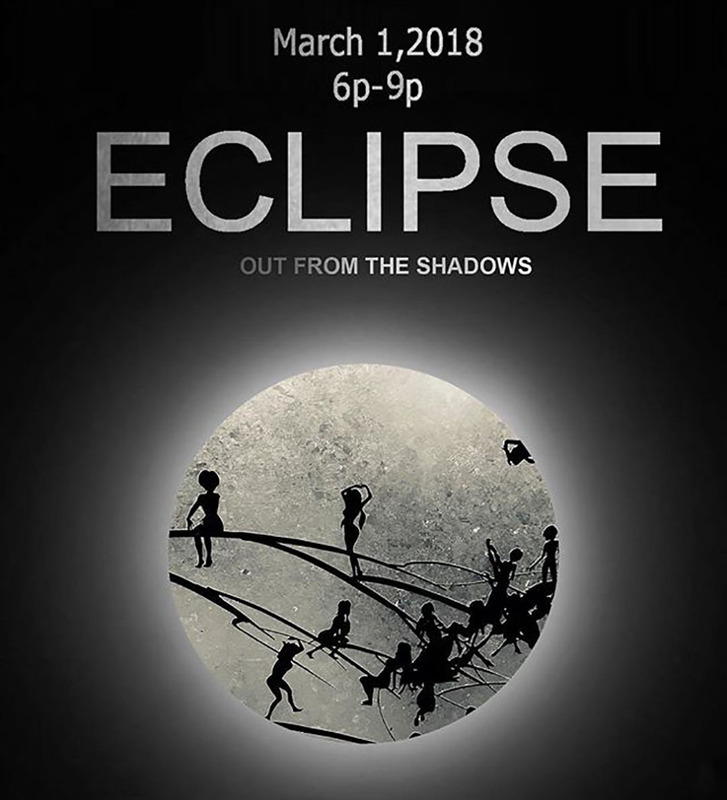 And so began a new body of work entitled, ECLIPSE: Out From The Shadows, on view at Allouche Gallery. 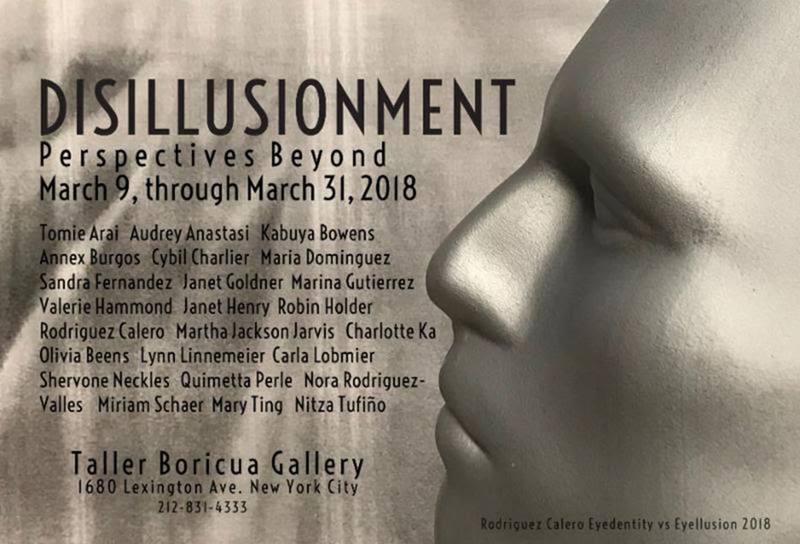 Moving into Women’s History Month, Taller Boricua Gallery invited 25 women artists to create art about present conditions of ‘Disillusionment.’ “Addressing issues of deception, falseness, unfaithfulness, betrayal and treachery ~ with reference to wearing, inhabiting, being veiled, clothed, draped, revealed, exposed or wrapped in disillusion” and they created the exhibit, Disillusionment: Perspectives Beyond. 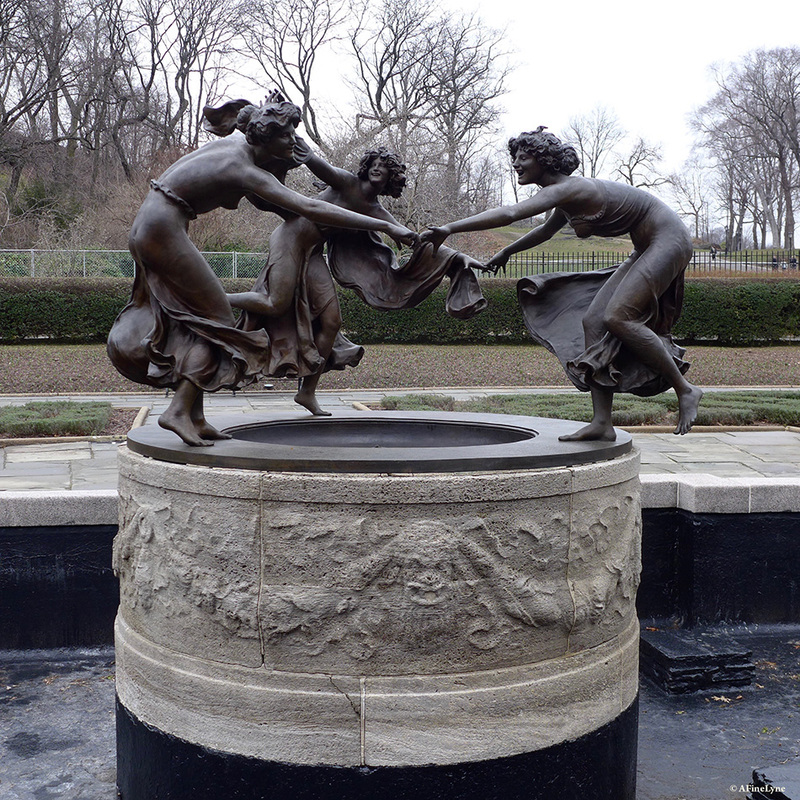 GothamToGo ~ Things to Do….Places to Go from March 1st – 15th! This is where we’ll be over the next two weeks. I love Marna Chester. There ~ I’ve said it. 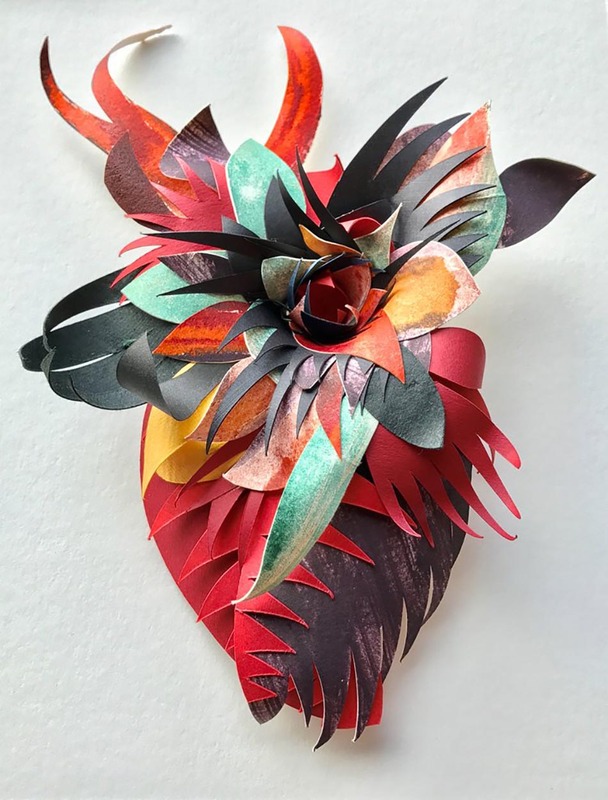 Her intricate, sumptuous, delicate paper installations have been seen everywhere ~ from the windows at Bergdorf’s to the New York Audubon Society’s house on governors Island. 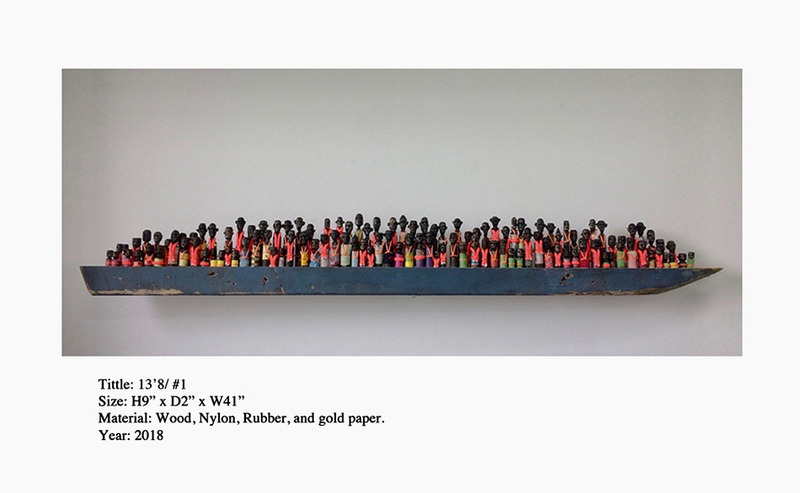 For one-week, the exhibit Marna Chester: Chambers will be on view at Gitler & ___ in Hamilton Heights. Reka Nyari continues her erotically charged, large-scale grisaille photographs with a new exhibition, Valkyrie Ink, at Emmanuel Fremin Gallery. “What do YOU need SHELTER from? 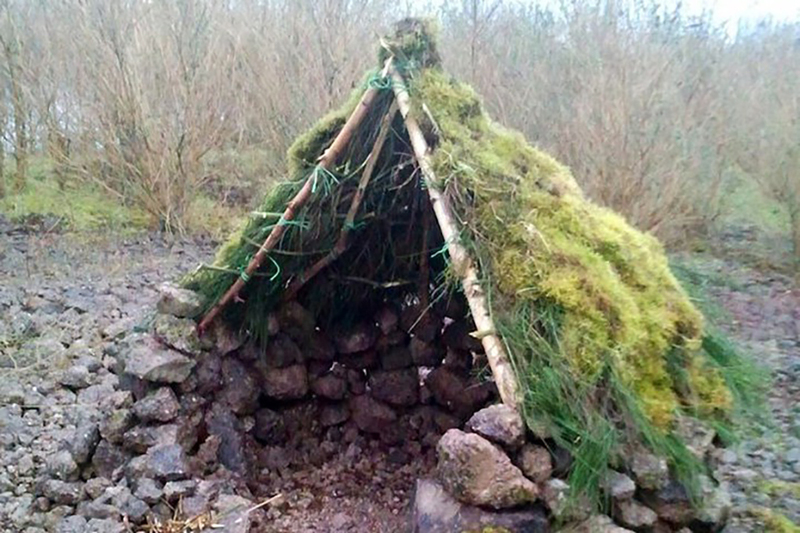 What do WE need SHELTER from? 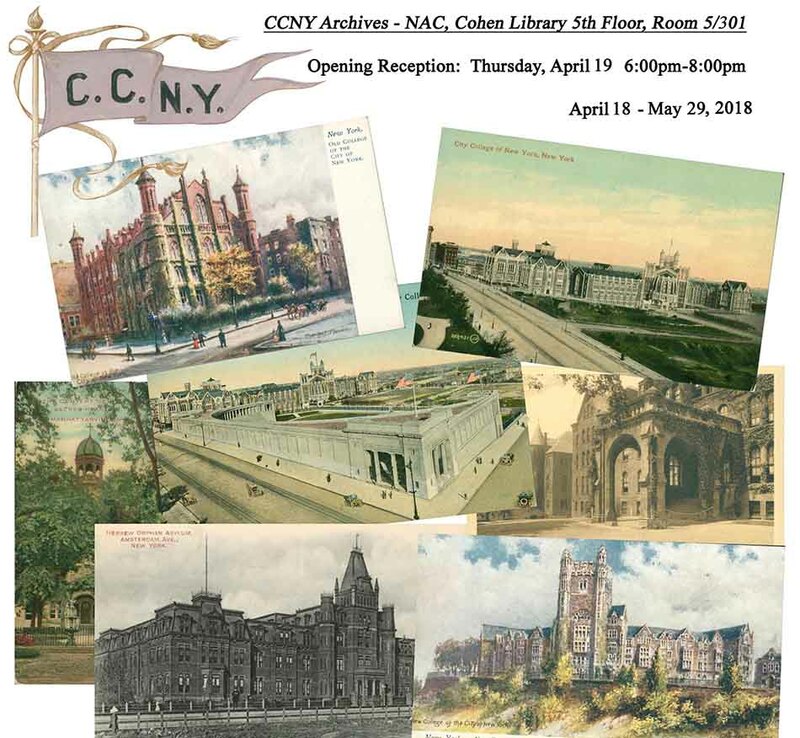 What does the WORLD need SHELTER from?” Harlem School of the Arts, Art & Design Department (HSA) + The National Association of Women Artists (NAWA) present ~ SHELTER 2018 EXHIBITION. 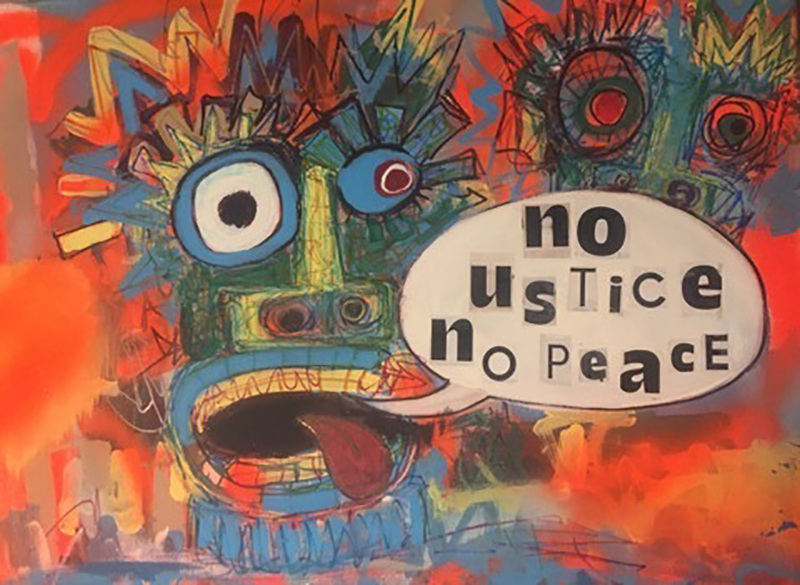 The two-person exhibit, Reflection, featuring the works of Joness Jones and Brigitte Yoshiko Pruchnow, will open at Kate Oh Gallery this week. 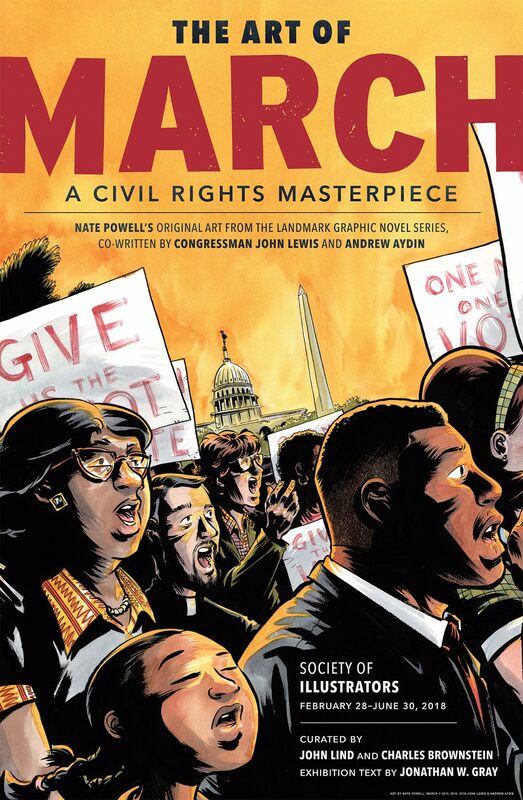 What better way to end Black History Month than with a deep-dive into the life of Congressman John Lewis in the exhibition, The Art of March: A Civil Rights Masterpiece at The Society of Illustrators. 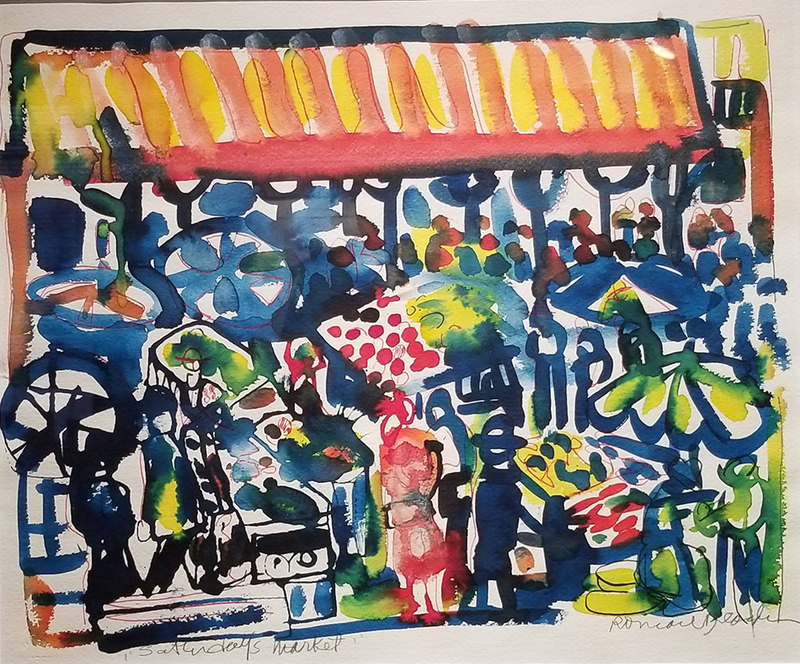 Eye-popping Color, Luscious Textures, Afro-Cuban Drumming, and Fun, as Tikhonova & Wintner open their doors to a new exhibition, Saturday, February 17th at their gallery in Harlem. 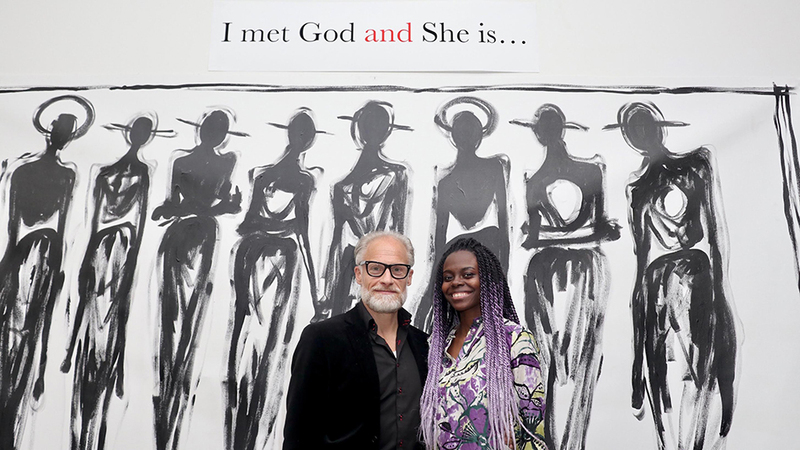 While Studio Museum in Harlem gets a whole new look, the Museum continues beyond its walls with the second year of inHarlem, including a host of Events and Exhibitions.